#‎Mantra‬ Defined: In the mythic storytelling of ‪#‎Ganesha‬, the well loved deity to whom we chant to help us remain friendly with our obstacles. Take this quick simplification personal assessment. Remove your own obstacles. 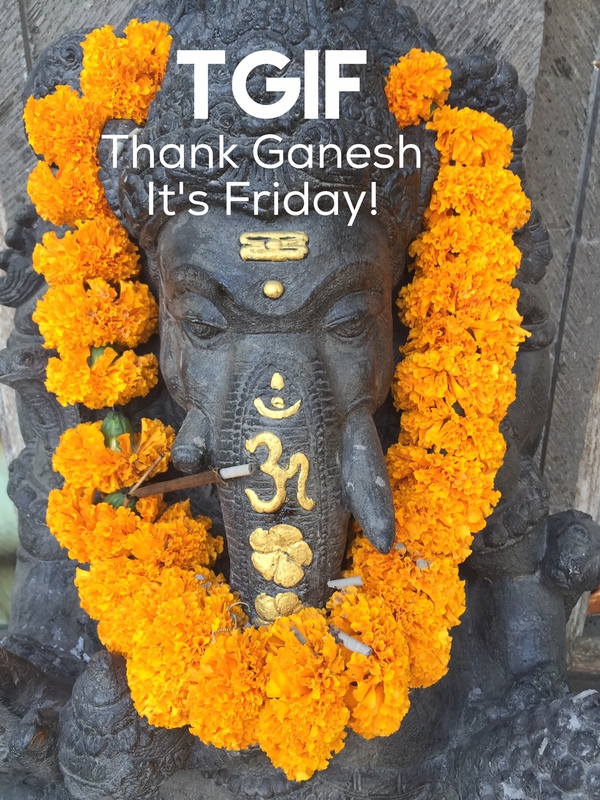 This entry was posted in Blog and tagged BALI, bali yoga retreat, best of bali, best of ubud, ganesh, ganesha, happiness, life coaching, simplify, stress, TGIF, ubud. Bookmark the permalink.